SLEEP TEST (Epworth scale). Assess your sleep quality. Answer the questions and you will receive a personalized e-mail that tells you based on your answers, if you suffer from a sleep disorder and if so, what type of sleep disorder that is. The e-mail contains further practical advice on how to improve the quality of your sleep. Answer now and we will send you a personal email indicating which is the most suitable type of melatonin for you and when you should take it. 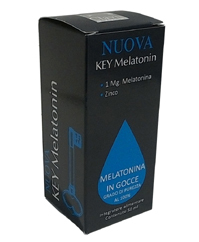 From today you can ask questions about melatonin in our new forum. Our expert team will respond quickly. Clavis Harmoniae is a supplement whose active ingredients are Garum Sociorum Exquisitus and Marine Magnesium. 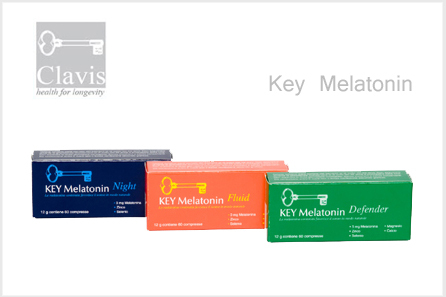 Clavis Harmoniae and Melatonin offer the perfect double whammy to beat stress and physical and mental tiredness. Their joint action against insomnia and the symptoms of stress helps us deal with the pace of modern life. We show you below the testimonies we have collected (you will be able to see the whole single answer by clicking on the testimony). Using the filters you will be able to read the testimonies divided into problems and\or nutritional supplement. If you want to read all the answers click here. A pack contains 60 tablets. A packet contains 60 tablets.